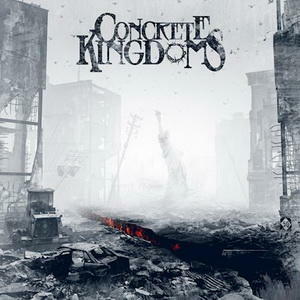 Concrete Kingdoms says Every Track on Our EP Brings Something Different to the Table! 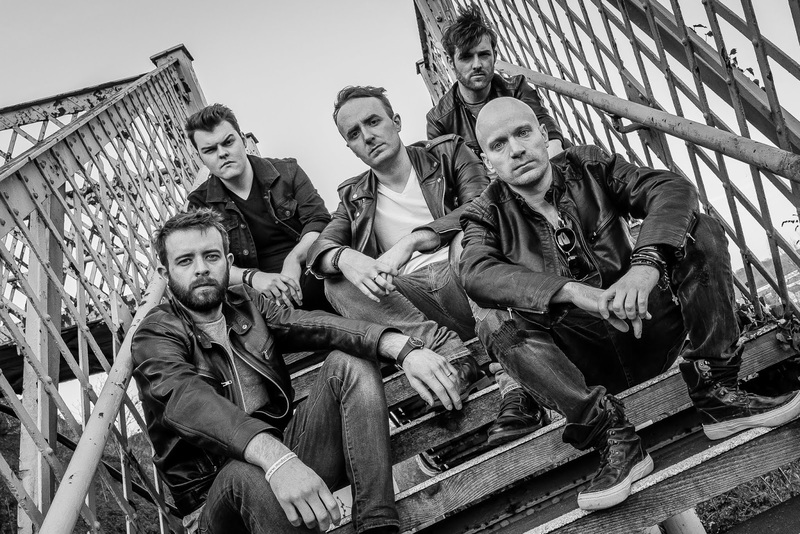 U.K. rockers CONCRETE KINGDOMS will be releasing their self-titled EP this late summer. The band got together says all there can be said about this upcoming EP and the future planning ahead. 1. So what can you tell me about this new EP? ​The E.P. is 4 tracks long, and is due to be released in August 2018. You should expect to hear ​hard rock riffs and dual solos balanced with smooth melodic vocals throughout. Every track ​brings something different to the table though, and we think that makes for a diverse overall ​record. 2. What title did you decide to go with it and is there a meaning behind it? ​As it is our first release, for many this will be their introduction to the band, so it made sense for ​us to self title the E.P. 3. Is this EP going to be a concept release? We think the songs demonstrate a broad range of influence, but our intention is very much to ​focus on our hard rock roots! 4. Where are you in the recording process of the new EP? The recording of the E.P. was carried out in February/March this year and mixed/mastered in ​the months that followed. We have just received the final physical copies and are very excited ​for the actual release! 5. Who is producing the EP? How has the producer aided the recording process? 6. Where are you recording the EP? ​We worked with producer Mark Morrow, based in the Granton area of Edinburgh, and it was a ​really smooth process. We can’t speak highly enough of the quality of the studio, and Mark’s ​approach made what can sometimes be a really stressful process really relaxed. That really ​helped bring the best out of us. 7. Did you have any definitive goals you were shooting for before the recording process began for this EP? The key for us was ensuring that we could showcase as much of our musical style from the big ​riffs all the way to the more introverted breakdowns in a way that all fitted together well. We are ​happy we have achieved that! 8. Are you using any new instrumentation you've never used in the recording process before? The main musical focus of the band is our strong guitar work, but that didn’t stop us from trying ​new things we don’t normally do live. The closing track "Same Old Same" takes advantage of ​a piano to close out the song, and gives the E.P. as a whole a really poignant conclusion. 9. When did you start writing for this EP? How was the songwriting process different/similar to previous releases? The tracks are a combination of our best work since the new line-up of the band came together ​in summer 2017. We’ve been gauging crowd reactions and feedback, and that’s very much ​helped us pull together a strong but varied collection of songs. 10. Did you feel any pressure whatsoever to get this out for everyone to hear? ​Being the first official release and probably long overdue, of course we felt some pressure to ​ensure it was a strong showing. You only get 1 shot at a first impression! 11. Can you go into one or two tracks on the new EP? If so, can you give us the track title and brief description of how the track sounds and how it came about? The first track on the E.P. is the lead track, and our first single "Time to Play". The basis of the ​song is about letting go of any worries or troubles and enjoying yourself- something we all need ​from time to time. The song is led by a hooky riff and sing along chorus, with trademark CK ​dual solos thrown into the mix. It is very much the most light-hearted track on the E.P. ​"Die This Day" is the second track on the E.P. and is a faster paced, harder rock showing than ​the opener. The lyrics for this song are written to inspire, contrary to the actual title of the song. ​If you listen to the chorus the key message being "Never die this day" is meant for times when ​life gets to heavy and to remember where you’ve come from and how far you have traveled. 12. How was/is the vibe in the studio? ​We mentioned earlier that there was a really relaxed feel about the recording process, but still ​very much focused on the best results. It’s all too easy not to produce necessarily your best ​work when there is too much tension in the studio. 13. When can we expect the new EP to be released? ​The official E.P. release date is August 17th 2018. ​Up until the launch we will be doing a lot of radio and promotional work, with an as yet to be ​announced official launch gig to coincide with the release. Beyond then we are looking to ​continue playing more shows up and down the UK, including a return to the Winterstorm ​Festival on the newly formed Jagermeister stage. Exciting times ahead! ​There is obviously much more to come from CK, but to find out you’ll need to check us out on ​Facebook, Instagram or at our website http://www.concretekingdoms.com/. Thanks for the interview!